Be Brave, Keep Going: Trust, It's a Daily Reckoning. Trust, It's a Daily Reckoning. 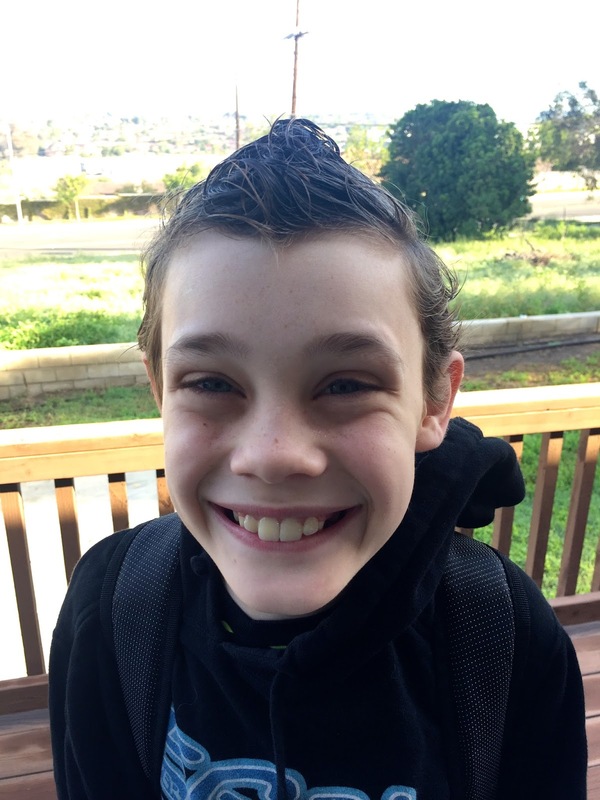 Last Thursday, Luke had his 6 month post treatment scans. He had a total of 6 tests and scans including an ultrasound, CT scan, bone scan with a nuclear medicine injection, a blood work up, doctor's visit and an MRI of the brain and face. It was 7 hours of procedures and doctor's visits in one day. He will need day's like that every other month for awhile. All of his tests came back as "no evidence of disease". Which means that there is no recurrent or new cancer cells at this time. It all sounds so clinical. But this is huge. This is wonderful. 6 months!!! What I am pondering today is how far we have come. How far God has carried Luke over the last 17 months from the beginning of diagnosis to the end of treatment and beyond. And how far He has carried me. The fact that I am even writing this right now is a miracle...I have stopped and started so many times. I've had crippling panic attacks over sharing our journey here. I've cried big deep tears as I have pushed the delete button on words I wanted to share but just wasn't ready to go back to those days in the beginning. Still. Here I am, writing now. Luke is running around out in our backyard as he often does and his sister is painting water colors next to me as I type. A sense of normalcy falls softly over our day. And I do not take it for granted. Our days are a gift. We pretty much live in little 3 months increments. I don't look too far into the future, not because I am afraid, but because I want to soak up the now, the present, the moments. I want to savor each smile, each hug, each call for my name. If I look too far into the future, I might worry about the what if's and the what could have beens. And maybe that's why it is hard to go back to those days during treatment. For now, we celebrate each day, each week, each month he is cancer free. During his treatment I lived in seeming constant surrender to God's will for Luke's life. But it did not come to me naturally. Far from it. I mean I was diligent in the beginning to find out what was going on with Luke, before we knew he had cancer... But it wasn't until a late night trip to the emergency room right after diagnosis that I submitted fully to God in that moment. I remember mentally, spiritually and emotionally laying myself bare at the feet of Jesus. I was not in control of anything than night other than my attitude and my choices. I do not even know how God worked in me, only that He did. Months later, I'm still not in control, but God is. I believe it's that surrender - that trust in God that no matter what - He has already conquered death - that gives me a hope in the midst of suffering. That hope is named Jesus. 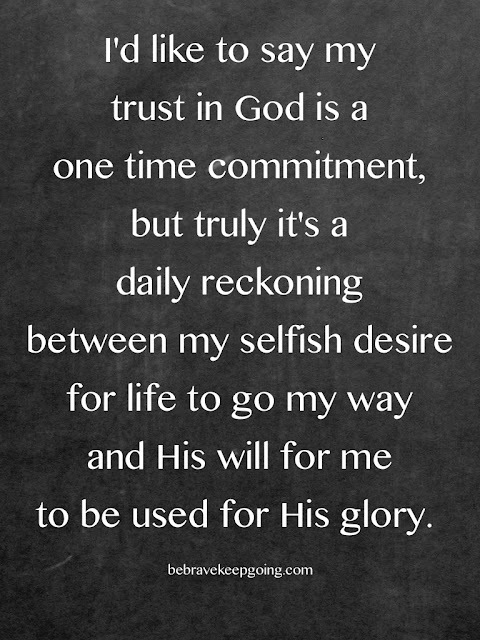 I'd like to say my trust in God is a one time commitment, but truly it's a daily reckoning between my selfish desire for life to go my way and His will for me to be used for His glory. This struggle is inevitable and my prayer is that the distance between my willingness to surrender and God's will becomes shorter and shorter every day. And it absolutely confounds me that God loves me in spite of my surrender to Him. So there it is. My words out there.